In our first bonus podcast of 2019, we ask an important but not entirely serious question: Is Capcom back? After a couple years of achieving impressive critical and financial success (thanks to games like Monster Hunter World and Resident Evil 7), it's time to start asking ourselves whether this is a happy accident or the start of an upward trend for the company. We react and respond to questions and talking points submitted by our paid supporters on Patreon and Twitch in an effort to sort out our feelings on the subject! Our next episode will be in early April and will be serve as a Spoiler-filled Post Mortem on Red Dead Redemption 2! Check back for your chance to help curate that discussion! 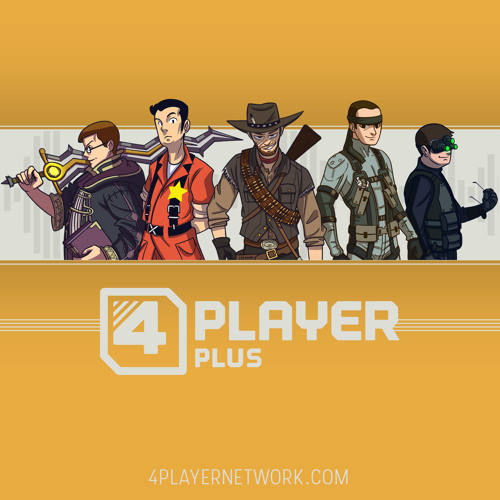 Users who like 4Player Plus - Is Capcom Back? Users who reposted 4Player Plus - Is Capcom Back? Playlists containing 4Player Plus - Is Capcom Back? More tracks like 4Player Plus - Is Capcom Back?